It’s looks like Microsoft is really starting to get creative with their marking campaigns, for instance their recent Clearification promotion for Windows Vista. That campaign was pretty viral, but there is now a new one that is attempting to directly engage the community. 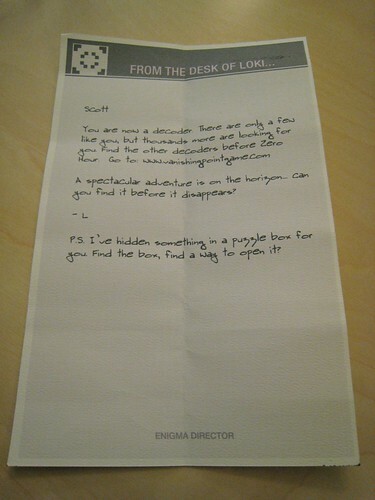 Inside the package was a small wooden box and a paper note addressed to me “From The Desk of Loki, Enigma Director” that referenced www.vanishingpointgame.com. 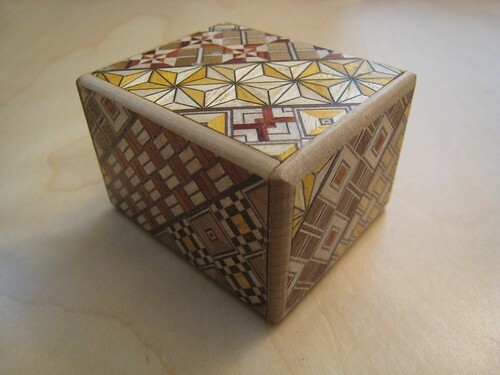 It was a puzzle box. After a while I figured out how to open it. 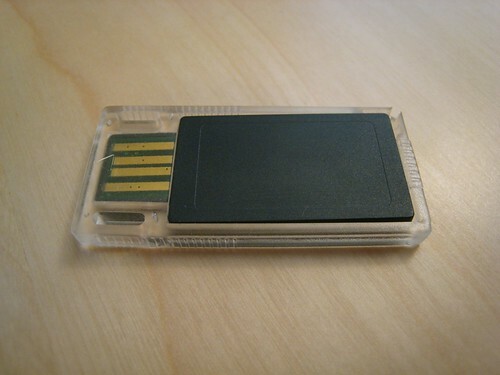 This .jpg image of a Cipher Key. Well done! 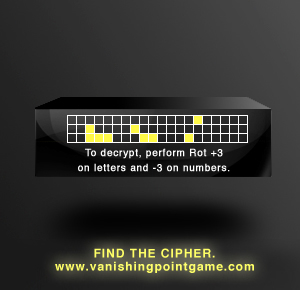 Now you have your first cipher key, plus a video my employer didn’t think you needed to see. What he doesn’t know won’t hurt him. Do others deserve to see these files, too? I’ll leave that up to you. P.S. Go to vanishingpointgame.com to find out what to do next. And finally a .wmv file of a video with more clues to the game. A quick search turned up an active forum over at Neowin.net that is busy working on trying to solve all of the puzzles. They have posted the results of puzzles they have solved, but they still have a bunch of stuff they are working on figuring out. So far the game seems to have something to do with an announcement that Bill Gates is going to make at CES in Las Vegas on January 8th. If anyone finds out any more information regarding what this game is all about, let us know. UPDATE 1: unfiction’s unforum is working on the game as well. UPDATE 3: Microsoft sent me a free laptop with Windows Vista and inside the laptop was the same note from Loki, so it appears that Vanishing Point Game is related to the Windows Visa launch. UPDATE 4: Robert Scoble writes that the contest ends on January 8th in front of the Bellagio in Las Vegas during CES. He and PodTech are organizing Bloghaus CES which takes place at the same location right after the contest ends. UPDATE 5: A Vanishing Point Wiki has been created to help solve the Vanishing Point Game. 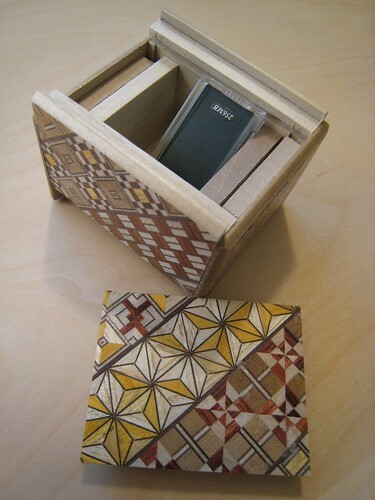 Also, a German Vanishing Point Wiki has been setup by ARGR. UPDATE 6: Here’s a video from Windows Connected of the Vanishing Point Game message that was delivered by Loki on January 8th at the Bellagio Fountains in Las Vegas.